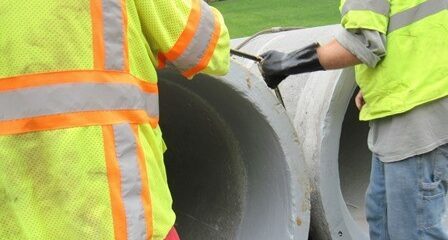 EZ Wrap Pak butyl adhesive tape saves the contractor time by eliminating the rolling out 100 foot rolls of traditional exterior joint wraps, measuring and cutting them in the dirt, mud and wetness at the job-site. 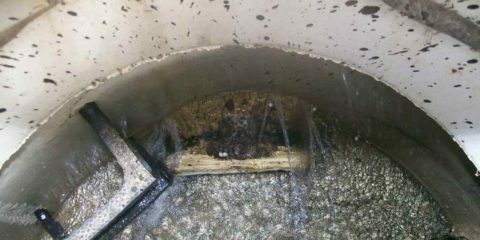 This also translates into a better sealing product because the joint wrap is not contaminated with mud, water and debris. Each package contains rolls of HDPE plastic-backed EZ-WRAP and a 12 oz can of spray adhesive. 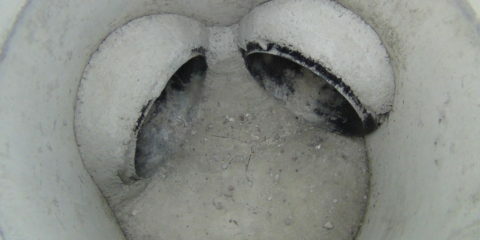 Exterior surface is cleaned and free of debris. 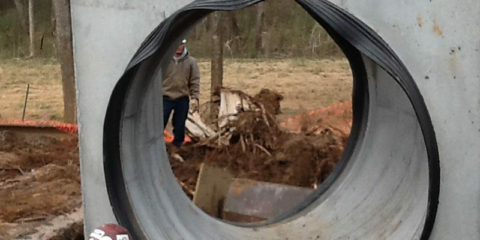 Pre-cut wrap already prepared for proper size manhole. Release paper is removed and wrap is applied to structure. 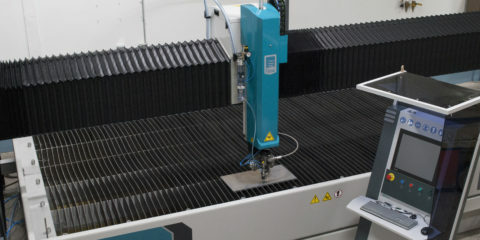 Precisely cut rolls greatly reduces loss and waste. 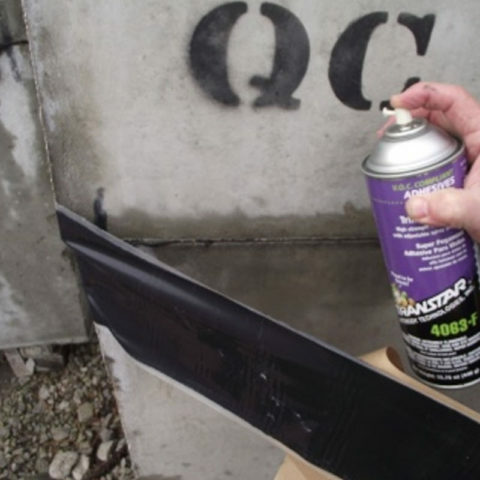 Provided spray adhesive allows for quick installation of wrap on structures. 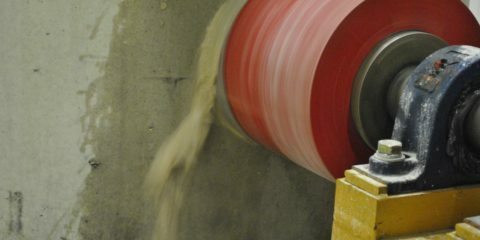 Coated release paper for easy installation. High quality butyl rubber base. 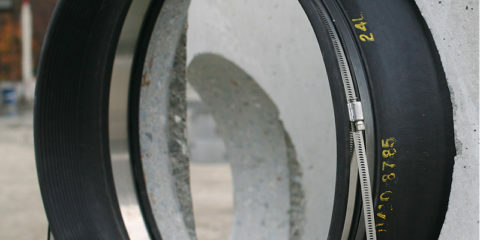 Adhesion to a variety of surfaces such as concrete, steel or even glass. The joints and/or joining surfaces of the structures shall be sealed with a butyl rubber based tape. 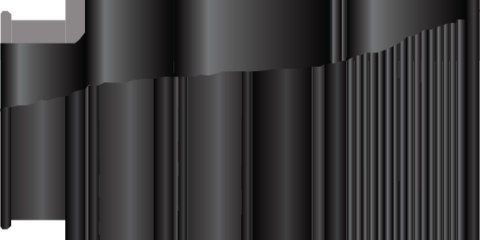 The material shall be EZ-WRAP Plastic as supplied by Press-Seal Corporation, Fort Wayne, Indiana, or approved equal. The butyl component of the tape shall consist of 50% (min.) butyl rubber, shall contain 2% or less volatile matter, and shall be .050” (1.3 mm) thick. The backing component shall be high-density polyethylene film. A release paper may be utilized. The tape width shall be 6” (150 mm) wide. The tape shall be overlapped at least twice its width. The tape shall not be stretched during application. Primer and/or adhesive as recommended by the tape supplier shall be employed for adverse, critical, or other applications. 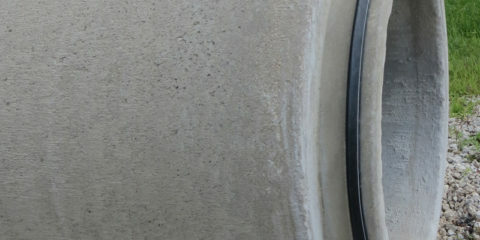 Clean the exterior surfaces of the joint area. Make sure that the cleaned area is at least 2” wider than the width of the EZ-WRAP used and that the cleaned area is centered on the joint. The concrete must be dry before applying wrap or primer. Primer is most important when installing in cold temperatures. Stir primer thoroughly before application to ensure rubber solids are equally dispensed throughout the solution. Using a paint brush or roller apply a thin even coat of EZ-STIK #4 PRIMER all the way around the joint. Prime the area at least 2” wider than the width of the EZ-WRAP used. Allow the solvents dispense from the primed surface (10-30 minutes depending on temperature), so that a clean, smooth surface is ready for installation of the EZ-WRAP. Cut the EZ-Wrap to the correct length prior to applying it to the joint. The below table will give you an idea of the most common lengths. 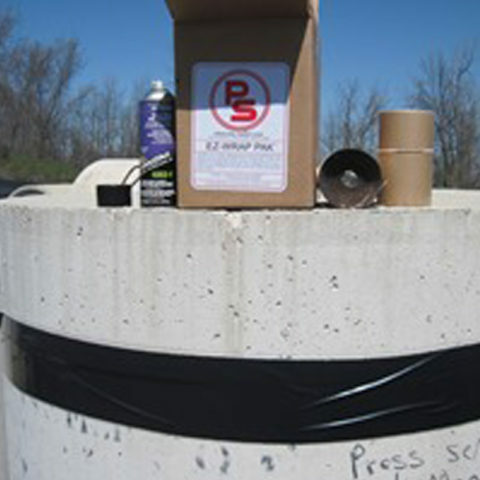 The butyl sealant side of EZ-WRAP is protected by release paper. Apply the EZ-WRAP to the structure, taking care to centering it so both sides of the joint are equally covered; remove the release paper as you apply the EZ-WRAP. Press the EZ-WRAP down firmly and evenly as you cover the joint area. A rubber roller may be used to assist in applying even pressure. Complete the seal by overlapping the EZ-WRAP 6 to 9 inches .Apply #4 EZ STIK Primer to the section of EZ-Wrap attached to the manhole that will be covered by the overlap; let the solvents dispense from the #4 EZ STIK Primer; press the overlapped end firmly against the installed EZ-WRAP. 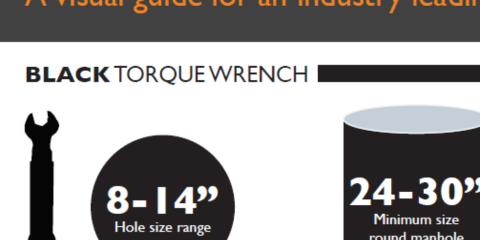 Manhole Size Roll Length No. Rolls Part No. 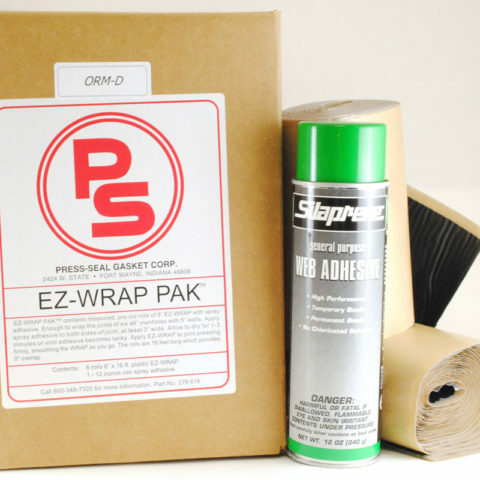 EZ-WRAP – Store and apply at temperatures from 32 F (0 C) to 110 F (43 C). EZ-PRIMER #4 – Store and apply at temperatures from 32 F (0 C) to 110 F (43 C). Shelf life of 12 months when stored in unopened original container. After opening, keep container covered when not in use. SAFETY PRECAUTIONS – Keep both products away from heat, sparks or open flame.